Through the lens in Aomori, Japan. Peace and tranquillity under a pink sky at Hirosaki Park. 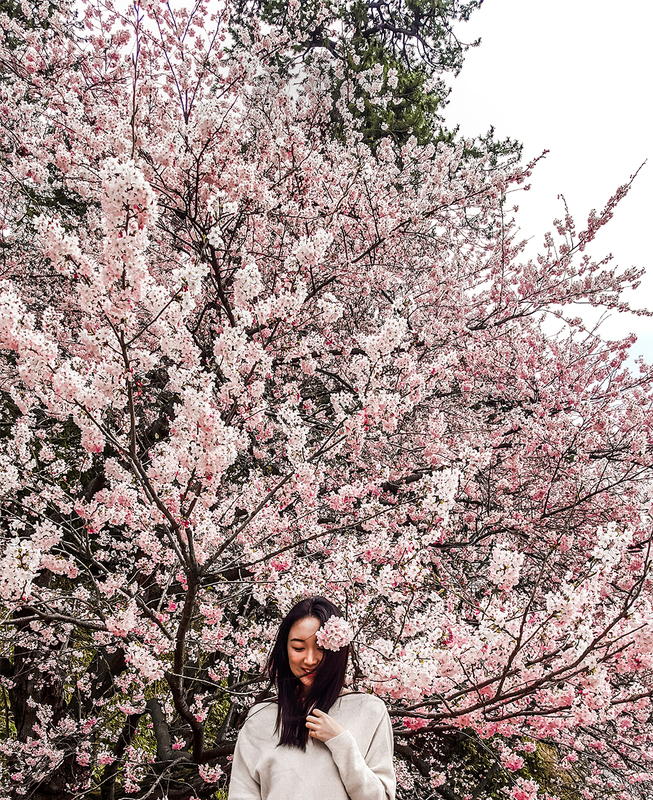 The sakura cherry blossoms in the city of Aomori, on the northern tip of Japan’s main island Honshu, bloom differently than their counterparts in the south. A special grooming technique passed down through generations allows for fuller buds and bigger clusters of blossoms, each more voluminous than the next. Cherry blossom viewing in Aomori is forecast for the end of April.